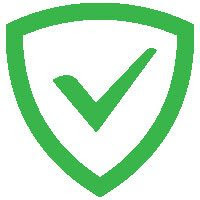 Adguard provides you with a reliable and manageable protection that immediately and without your participation filters the loading web pages. Adguard removes all the annoying ads, blocks loading of dangerous websites, and will not allow anyone to track your activities on the Internet. Adguard Content Blocker is an app that will block all ads only in Yandex Browser and Samsung Internet browser without requiring you to root your device. Adguard Content Blocker doesn't block ads in any other apps.